British welterweight Darren Till has gatecrashed the UFC’s welterweight Top 10 following his devastating one-round dismantling of Donald ‘Cowboy’ Cerrone on Saturday night at UFC Fight Night 118 in Poland. Till produced a hugely impressive performance to stop the former UFC lightweight title challenger with strikes in just four minutes and 20 seconds to claim the biggest victory of his mixed martial arts career to date. 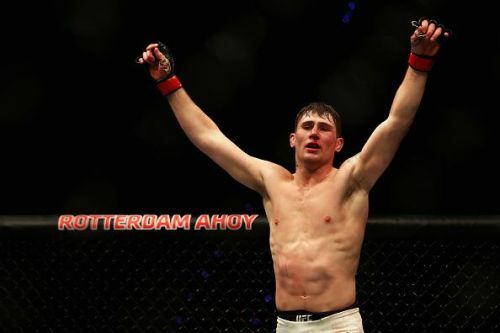 DARREN TILL!!!!! First round finish for the prospect @DarrenTill2!! WOW! #UFCGdansk ?? LINK TO REPLAY IN BIO ?? His win earned him plaudits galore, with UFC president Dana White labelling the Liverpudlian, “The Future”, in an Instagram post. And the newly-released official UFC rankings have reflected the dominance of Till’s display, with the Brit a new entry in the 15-man welterweight pecking order. Till is now ranked eighth in the UFC’s 170-pound welterweight division, leapfrogging Cerrone, plus Santiago Ponzinibbio, Neil Magny, Kamaru Usman and Gunnar Nelson. The Brit declared he wanted to be known as “the greatest fighter that ever lived” and after just five fights in the UFC, he’s certainly making waves already. It's a remarkable rise for the 24-year-old, who has fought just five times in the UFC since arriving in the promotion in the summer of 2015. He knocked out Wendell de Oliveira in the second round in his UFC debut at UFC Fight Night 67 in Goiania, Brazil in May 2015, then followed up with a thrilling majority draw with former Cage Warriors welterweight champion Nicolas Dalby at UFC Fight Night 76 in Dublin later that year. In that fight, Till dominated the opening two rounds before dislocating his shoulder late in the second frame. Despite fighting with only one arm, Till managed to fend off a full-on blitz from Dalby in the third round to keep his undefeated record intact. Till returned to winning ways with a unanimous decision win over Germany's Jessin Ayari at UFC Fight Night 109 in Stockholm, Sweden, but missed weight ahead of the bout. It was a misstep that Till vowed would never happen again. He hit championship weight at 170lbs for his next bout as he defeated Bojan Velickovic in Rotterdam at UFC Fight Night 115, then was handed the opportunity of a lifetime against Cerrone in Gdansk this past weekend. 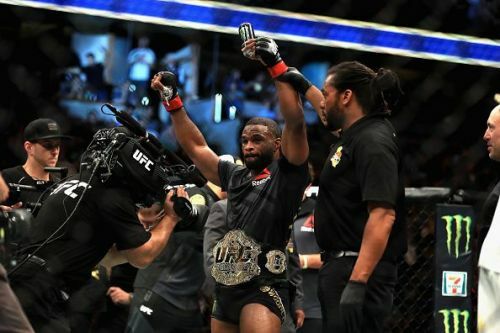 His thrilling, nerveless performance now means he's a legitimate threat to the UFC's welterweight elite. And it seems he may already have identified his preferred next opponent, as he tweeted a message to his fans wondering aloud just how much he'd enjoy a matchup with fellow welterweight striker Stephen 'Wonderboy' Thompson. "Just gonna put it out there, but imagine the chess game of striking me and wonderboy would have? #HighLevelStriking"
Just gonna put it out there, but imagine the chess game of striking me and wonderboy would have? ?#HighLevelStriking ?